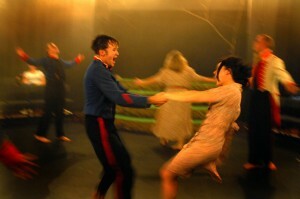 Woyzeck, a review and photos. Director Stephen Simms has really delved deep into someone's nightmares to produce a really creative adaptation of Georg Buchner's 1837 tragedy Woyzeck. And if you head over to the Ron Barber Studio at the Crescent Theatre Birmingham between the 24th and the 27th of this month, you can see it for yourself. So last night I was sent to photograph the Birmingham School of Acting's depiction of the … [Read more...] about Woyzeck, a review and photos.